With just over a year to go until election day, Bloomberg Television has announced plans to expand its political talk-show "With All Due Respect" to a full hour. The move is a vote of confidence for a show that has endured a fair amount of negative press since its launch last year. 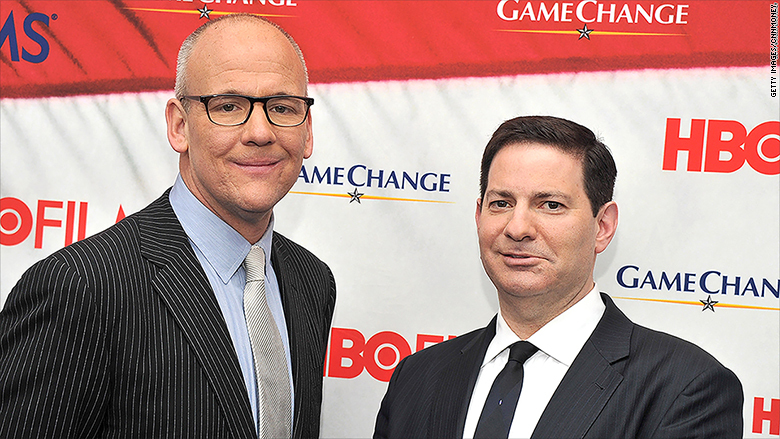 The show's co-hosts, Mark Halperin and John Heilemann, were hired at salaries of more than $1 million per year, but have yet to turn the show into an influential force in political media. One recent report in New York Magazine claimed that chief executive Michael Bloomberg disliked the show so much that he didn't want to renew their contracts past 2016. But later Bloomberg said he had "become a devotee of Bloomberg Politics," and called the show "an important part of our TV line-up and our strategy." In a memo, Bloomberg TV chief Al Mayers touted "With All Due Respect" as a show that brings "a new, politics-savvy audience to Bloomberg TV." The expansion will give the show "more time for the reporting, interviews and analysis that is helping to make Bloomberg TV a destination for political coverage," he said. Mayers also announced that "Bloomberg West," the evening show hosted by Emily Chang, will also be expanded to a full hour. The changes go into effect on November 2. They come just months after Mayers was tapped as head of the television division as part of a protracted, ongoing shakeup that has taken place across Bloomberg since the former mayor returned to his company and installed John Micklethwait at editor-in-chief.